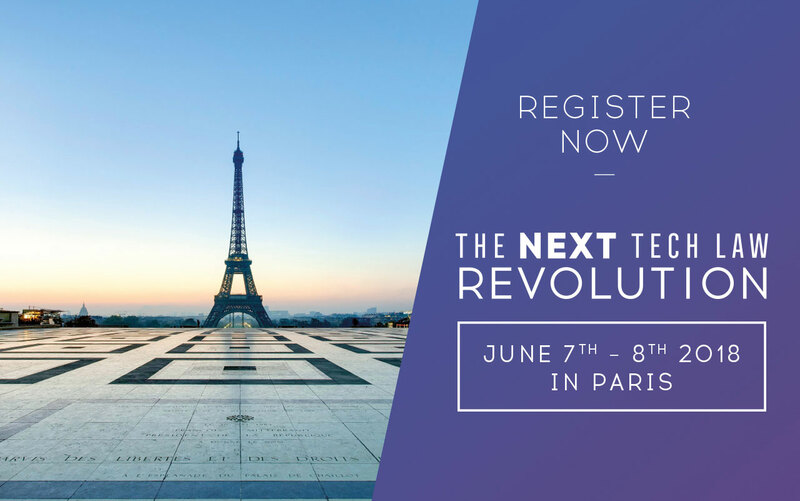 President Marie-Hélène TONNELLIER and the board of directors of ICLA are pleased to invite you to join more than 45 speakers and 250 leading lawyers, legal and indutry professionals from around the world, at the IFCLA Conference hosted by AFDIT next 7 and 8 of june 2018 in Paris. It's one of the most important digital and it conferences where you will have the opportunity to exchange on very specific topics and a great opportunity for networking. This IFCLA Seminar shall be dedicated to «The Next tech law Revolution». GDPR will be just enforced and some national authorities such as CNIL or EEC representatives will explain their vision of how to exploit data in perfect compliance with the new European rules. GDPR & ePrivacy: a headache for business or a smokescreen for individuals? May 25th, 2018 implementation date of RGPD & ePrivacy. For months, European companies have spent, and continue to spend, considerable energy to be in compliance with these new rules. Will the new requirements change old habits? Can the new rules be implemented by companies, and provide real protections for individuals? What are the consequences of these new rules on the strong and deep relationships with American companies? What are the consequences of GDPR, in Europe, in light of upcoming Brexit? How will national regulatory authorities apply these new rules and the greatly strengthened sanctions that apply in case of non-compliance? How collaborative platforms can generate a revolution in a so-conservative field? The future of legal evidence and how to evaluate claims and loss. The impact of New Technologies. Professor Pierre Berlioz, Private Law Professor, Université Paris 5, Director of Paris School Bar - Does the new tech development require new legal rules? Bradley Joslove, Partner, Franklin - GDPR restrictions on profiling: are they compatible with the development of Artificial Intelligence and Machine Learning? Liability is at the very heart of central issues of new tech. Will there be a “universal” liability? New provisions, new practices in the software agreements. Comparative approach. Licensing: Software Audits: new source of revenues for suppliers? Cyber security: How to protect our innovative activities: which legal tools can be used to protect data and content? How to secure innovation? The role of Blockchain. Vincent Fauchoux, Partner and cofounder, BlockchainyourIP - What is the Blockchain impact on companies’ IP’ strategy? Professeur Nicolas Binctin, Law Professor in Poitiers University, Cecoji - which type of governance for the blockchain? Anne-Sophie Lampe, Counsel, August Debouzy- E-commerce: an increasingly regulated sector? From the Uberisation to AI: is there any room left for lawyers? There are many symposia about new technologies. Why do you think IFCLA is better than other conferences? Because IFCLA is an international association that has been in existence for more than 20 years and whose members are established in more than 15 countries. The attorneys, in-house counsel and technology experts, who participate in the works of IFCLA, bring a comparative perspective that is a real asset when compared to other conferences that only focus on a national point of view. In addition, the input and vision of foreign specialists, on these topics that arise in a fairly consistent manner across all national legislations, allows for a far greater understanding of the issues at stake. What will be the topics covered? Because the world of new technologies is in full swing, and because we can no longer treat subjects like personal data, cloud or AI in isolation from each other, the symposium will provide an overview of all of the topics that occupy new technologies experts today. Of course we will talk about the GDPR, since the symposium will take place less than 15 days after its implementation, with a very European panel that will take into account the impact of Brexit but will also focus on the legal consequences of data flows that are closely linked, in one way or another, to the USA. We will also consider the liability aspects of disruptive technologies whether for connected objects, artificial intelligence or in the context of autonomous car projects. We will also focus specifically on the blockchain's progress, particularly in the field of intellectual property. We will talk about security breaches and cyber security that drive so many economic players. But above all, among the numerous other topics, we will focus on, a prospective approach to defining, the IT of the future. Who is the symposium for? IFCLA's member associations were created from groups of law professors, attorneys, in-house counsel or technology enthusiasts with strong legal background. The symposium is aimed primarily at corporate legal counsel, corporate Data Protection Officers (DPOs), information systems operating officers or people in charge of implementing new corporate strategies through technology. Usually, participants are looking for high-level insight and knowledge on often complex topics with a strong international dimension. It is a place of exchange, networking and reflection.